The last time we faced Pescara was at the end of the season in 2013. We beat them 4-0, an exclamation point to their eventual relegation. But now they are back in Serie A, having been promoted. 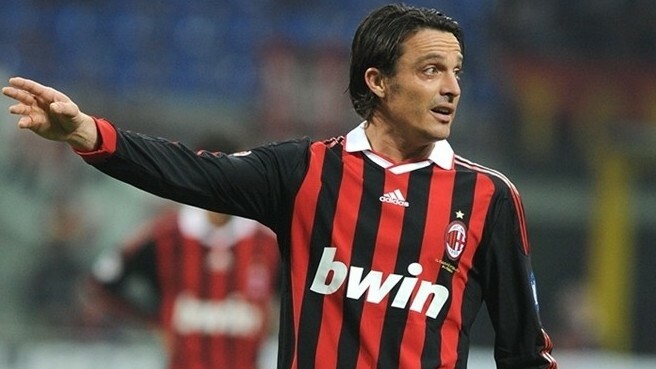 Promoted in part due to the efforts of one Massimo Oddo. Does that name ring a bell? It should. I can only hope it is an emotional return for him to the San Siro. But with his team struggling just above the relegation zone in 17th, I am also kind of hoping it is with emotion that he leaves the San Siro – hopefully leaving three points with the team he once played for, and taking his Delfini home empty-handed. There is a big difference between swimming with the fishes and swimming with dolphins, Mister. Let's hope for the latter. I’ve heard that dolphins are very smart. And that swimming with them is really cool. But on Sunday afternoon, I’m hoping Milan’s inner shark comes out. (Sorry, Oddo.) After earning promotion with our friend Lapadula, they had a dream start without him this season, with wins against Frosinone and Sassuolo, as well as an impressive draw against Napoli. Then Inter came to town, took three points, and they haven’t won since. We all leave Inter’s presence worse off. And to make matters worse, their game against Atalanta on Wednesday was delayed by earthquakes, that can’t be good for morale. In that eventual 1-0 loss to Atalanta, Oddo lined up Bizzarri; Fornasier, Campagnaro, Aquilani, Biraghi, Crescenzi, Brugman, Memushaj, Caprari, Zampano, and Manaj. In addition to a former player in Aquilani, notable subs include some young kid called Cristante, and some old monster called Simone Pepe. (It is Halloween on Monday, after all.) Oddo will be missing Vitturini, Bahebeck, Verre, and Gyömber to injury. Well look who finally got himself some playing time... at a relegation-threatened club? Meanwhile, Montella’s boys will be humbled by the 3-0 thrashing Genoa gave them away on Tuesday, and also rested one more day than the Delfini. Both of those will probably give them an edge, and I will be curious if playing at the San Siro will give them the edge or not. Will fans show up after the magical Juve game, but the disappointing loss to Genoa? Montella will be missing Paletta to suspension, but will have Zapata available, even if he is not likely match fit yet after his injury. He will also be without Vangioni, Montolivo, Calabria, Antonelli, Bertolacci, and Fernandez. I believe Fernandez is finally starting to train with the team after his injury, but as of this writing will not be available for this match. Sorry, Mister. Your red and black heritage will get you no favors here. Nor would you want it that way. I’ve also heard that swimming with dolphins is very relaxing, and I’m hoping that in our match on Sunday that proves to be the case. We cannot take anything for granted, as Genoa taught us on Tuesday. We are not the team that maybe the media and others built us up to be. But we are Milan. And Milan should be able to swim circles around the dolphins. This will be an important match to prove that all is not lost, and that what happens in Genoa stays in Genoa. If Montella has done his job this week, and I suspect he has, our boys should be mentally ready to go swimming with the dolphins.